How Can I Tell If I Have Poison Ivy? If you are experiencing any of these symptoms, there are a few things you can do to prevent scarring, infection, and spreading. Do not scratch the the infected area. Dirt and bacteria on your hand or under your fingernails can enter the skin and cause it to become infected. Scratching can also cause the area to scar. You should also wash your hands frequently to help prevent infection and the spreading of the poison. If you touch the infected area, wash your hands immediately and be careful to not touch any other area of your body or another person. 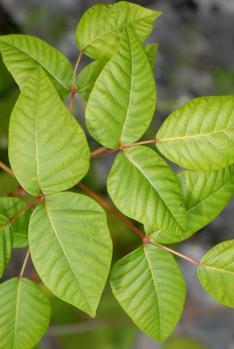 Poison ivy can often be treated at home, but if the rash continues to spread or worsen, you should seek medical care. If you are still wondering how you can tell if you have poison ivy, visit one of FastMed’s two Charlotte, NC, locations. Our clinics have extended hours and are open 365 days a year, making FastMed in Charlotte, NC, a convenient choice when you have medical questions and need quick, affordable treatment.